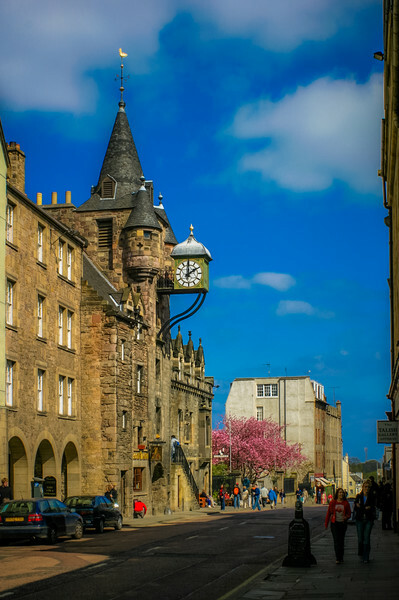 The Canongate Tolbooth, built in 1591. Extensively remodelled in 1875 by architect Robert Morham to give the building back its 'medieval look'. This was based largely on Gordon of Rothiemay's map of 1647. A multi-purpose building, it was used to collect tolls from travelers entering the burgh, as a Council Chamber, Police Court and Prison. Since 1820 it has also served as a tavern.